Register now for Bruker’s Battery Innovation Through Advanced Characterisation workshop on Wednesday 25th April 2018 at the Transport Museum in Coventry (free to attend). Blue Scientific is the official distributor of Bruker Micro-CT in the UK and Nordic region, and AFM, XRD and Hysitron in the Nordic region. If you have any questions or if you’d like a quote, please get in touch. The workshop will discuss challenges in the development, performance and degradation of lithium-ion and solid-state batteries. The programme will present useful microscopy, structural, spectroscopic, mechanical and electrochemical techniques for approaching these challenges. The day will include talks, live demonstrations and networking opportunities. Talks and demonstrations will include a range of technologies and analytical techniques relevant to battery development. Experts will be on hand to answer your questions about these technologies. AFM (Atomic Force Microscopy) – Correlative nanoscale electrical, electrochemical and morphological properties of cathodes, quantifying SEI growth and capacity loss from cracking. NMR Spectroscopy – Atomic level insights in kinetic and thermodynamic processes during electrochemical cell cycles. 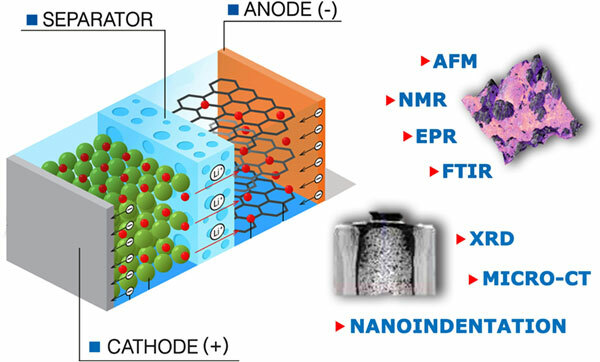 FT-IR Spectroscopy – Characterising mechanistic pathways at the cathode (ATR with EC cell). XRD (X-ray Diffraction) – Study lithium ion migration processes and state of charge. 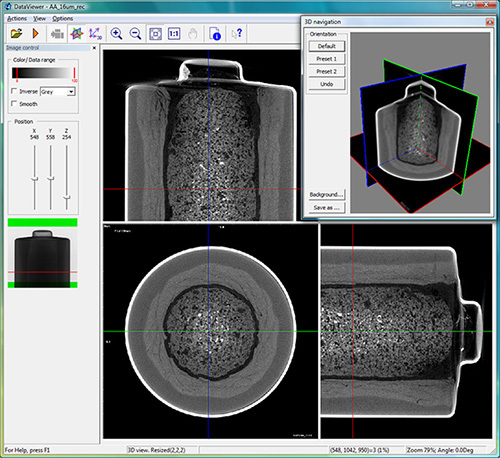 Micro-CT – Tomographic imaging of cathode porosity and ageing phenomena. Nanomechanical Testing – Electrode creep/stress, phase separation and separator delamination. The Transport Museum is in the centre of Coventry, accessible by train and by car. Their displays of past and future technologies will be open for delegates to look round before and after the event. The workshop will be on Wednesday 25th April 2018, from 10am – 4pm. There’s no charge to attend, but spaces are limited so please register to reserve your place.